In August I read some fabulous and captivating books I also read one that I very much disliked. By the end of the month I had read a total of 24 books since January. I seriously underestimated just how many books I would read this year having already reached my target of 20. As always my reviews are always spoiler free. I wanted so much to enjoy this book, but alias I could not get passed the repetitive nature of the story line. Initially drawn in by the book cover and the 1930's feel it had. It gave me the promise of a good murder mystery, but it took me so long to get into it, it started to feel like a chore. Having only made it to page 70 after a few weeks I probably should of given up. But there were flashes of enjoyable reading and at times I was back in the 1930's and drawn into the characters and their story lines. Which is why I continued. Reliving the same day in order to escape this dark, run down, secluded country estate. Well it wore me down. Reading this book in bigger sections helped, its not a pick it up and put down again book, you need to invest your time in the story line if you are to ever keep up with what is going on. Heavens knows how the writer managed, his time line for the story and characters must of been a nightmare of confusion. At one point, when I was well into the book and understood the premise of the what happens with Aiden the main character I skipped 40 pages, that's right I turned over a wad of pages and did not read them! I have never done this before with any book I have read. Do you know I did not feel like I had missed out on any of the story. I did however want to know who did what, and why they did it or didn't do it. Obviously I am not about to tell you, but I was very disappointed with the ending. Oh and unless I missed something the book never did explain the whole repeating the day think - why or how did that keep happening. I am aware I am in the minority with not liking this book, so who knows you may very well enjoy it. I read this book as an ebook, downloaded for free from my local library using the Libby app on my ipad. Many libraries now use the Libby app for members to access ebooks - it's a great way to read for free too. A delightful read. The title of this book captured my eye and once I read the synopsis I knew it was one for me. I do enjoy historical fiction, particularly when the characters are so well written and bought to life. Being English I only now the basics of American history, I always find discovering new history fascinating. The story is set initially in the present when Inara, is about to start a new career that she has doubts about, her family run a very successfully transport and travel business and her father is keen to see her succeed. Whilst at a visit to her aunts house on the Orcas Islands (set of the west coast of America/Canada near Vancover) she discovers a beautiful piece of embroidered silk under the stairs, and so starts her journey to uncover her family history as to how it may have gotten there. The story flips back to the 1880's and follows the life of a young Chinese girl Mei Lein and her family who live in Seattle. But when Americans turn on the Chinese Americans, the introduction of the Exclusion Act of 1882 and they are encouraged to leave the country, and so the story of Mei Lein begins. I thought the author really bought Mai Lein's character to life, you really do attach yourself to her. I was not the hugest fan of the modern day story line that follows Inara, but it needed telling to connect the story lines together. A thought provoking and touching story that captures a disturbing area of history little told. I broke my heart during some chapters of this book, but this book was an absolute pleasure to read and worth discovering. I am aware of the English and Scottish pioneers that went over to North America in the 1800's - some of my ancestors did just that. So certainly identified with some elements of this story. If you enjoy exploring your family history then you will certainly enjoy this book. What a great physiological thriller! 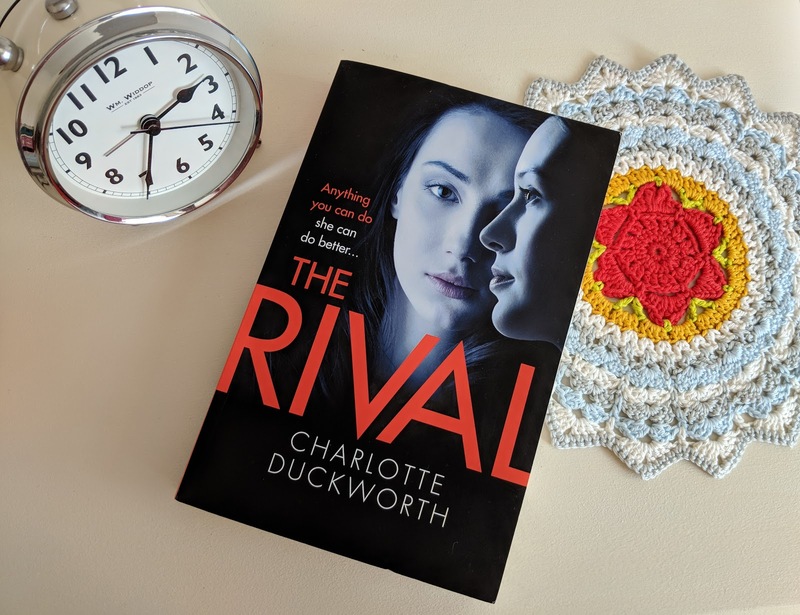 I was lucky enough to win a copy of The Rival in a giveaway and have thoroughly enjoyed reading it. NOW:Living in her home in the countryside HELENA is a career woman without a job and a mother without a baby. She blames ASHLEY for destroying her life. But is what happened really Ashley's fault? THEN:When Helena hires Ashley to work with her, she's startled but impressed by her fierce ambition. They form a dream team and Helena is proud -maybe this is the protégé she's always wanted to have? But soon Helena realises that nothing will stand in the way of Ashley's drive to get to the top. And when Helena discovers she is pregnant, she quickly realises how vulnerable her position is, with devastating consequences.The Rival is an addictive psychological suspense about ambition, female rivalry, mental health and motherhood and how far you'd ever go to get what you want. 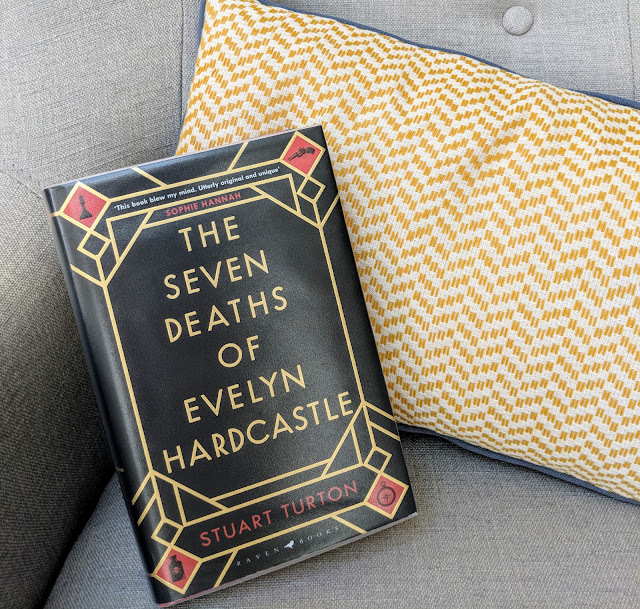 I loved how the story unfolded, telling it from both sides of the main characters, Helena and Ashley the past and present, headed up as Now and Then at the start of each chapter. I do enjoy this style of storytelling. You are very aware that a significant event has taken place right from the beginning of the story, but it is purposely unclear as to exactly what and to who. This left me wanting to discover more and so the story of work colleagues Helena and Ashley begins to unfold. The suspense of what finally happens between them is maintained right until the end of the book, and I really did not see most of it coming. Exploring the character of Ashley made for interesting reading, she so reminded me of someone I had previously worked with who was very ambitious. At times I liked and disliked both characters, it was cleverly written in that I could connect to both of them, empathise with them yet at times I still judged them and disliked them too. I can not wait to read what Charlotte Duckworth writes next. I am currently reading Blood & Sugar by Laura Shepherd-Robinson which I have been lucky enough to have been sent for review by Mantle Books. I'm not sure what I will read after that, I have a plenty sitting on my bookshelf waiting to be started. Do let me know if you have any book recommendations. To find out more about the books I am currently reading or vote on which book I should read next on my Instagram account Garden Tea Cakes and Me. Follow me on Goodreads to see which book I having waiting on my reading list and see all the books I have read in this years Reading Challenge. or Jesse Burton's The Muse.